wave to your haters, honey! Last week, the Daily Mail featured quotes from designer Emilia Wickstead in which she seemed to suggest that she thought Meghan Markle’s wedding dress rather close to her own label’s work and also Markle’s wispy ’do was wrong for the regal occasion. Now, Wickstead has released a statement saying that she sees no rip-offs here and she has nothing but admiration for the Duchess of Sussex. The royal wedding is over, but the royal wedding dress drama is just beginning. She continued, “I do not think that her wedding dress was a copy of any of our designs. I have the greatest respect for Clare Waight Keller and the House of Givenchy—a huge source of inspiration to me. 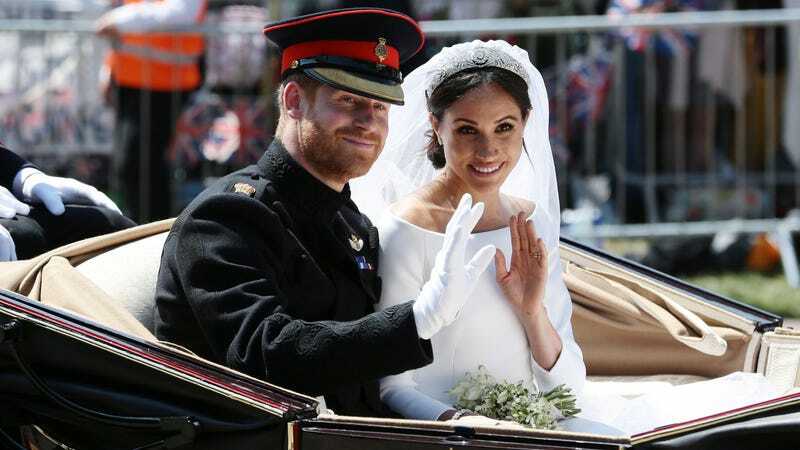 I wish Their Royal Highnesses, the Duke and Duchess of Sussex a wonderful, happy and love filled life together. If I did any business whatsoever with the royal family I would avoid every reporter who’s ever even been seen spotted in the vicinity of the Daily Mail offices as though they were carrying the bubonic plague. If you’re in Tesco, just drop your crisps and flee.